Biological diversity is a key to healthy soils and healthy plants. Biological diversity is a key for healthy soils. To many times, growers think that healthy soils are only Nitrogen, Potassium, Phosphorus (N,P,K). When in fact, the beneficial microorganisms in the soil are really the key factor. nutrient losses, high biological diversity, and a natural buffer to plant pests. Cover crops and crop rotation is also important for biological diversity. Additionally, biological diversity helps with both nitrogen recycling and carbon cycling. Both of these cycles require specific microorganisms to perform their vital functions. The complete article is below. CHAMPAIGN, Ill. — Demand for organic and naturally produced foods continues to grow and with that the need to improve production systems to meet those needs. The challenge is diseases don’t distinguish between “conventional” and organic crop production. If conditions are right, they’re in the soil ready to rob yields. Phytophthora, anthracnose, wilt, fusarium, white mold and other diseases are familiar foes, whether it is corn and soybeans or vegetable crops. To help farmers battle those and other diseases in organic and natural cropping systems, University of Illinois Extension local food systems/small farms educators James Theuri and Laurie George conducted a webinar focusing on vegetable crops. “We’re looking at options that are available to manage — keyword, manage, not control. When we talk about control, we’re talking about healing and eliminating with the most rapid method possible, and that’s what chemicals do. It’s different when you’re managing pests or even pathogens and so it’s about management more than controlling,” Theuri said. “In conventional farming, it’s maintained by a continuous external input of all sorts of things, providing nutrients and then keep pests and diseases under control. On the other hand, when you get to organic farming one strives for a healthy ecosystem. Theuri and George went through numerous examples of vegetable-specific diseases, the environments they thrive in, and symptoms. Management strategies for many of those diseases include crop scouting, rotation, using resistant varieties and certified “safe” seed, residue removal, machinery cleaning, tillage and organic-approved fungicides. The foundation for all successful disease management is soil health. “If you’re going to have healthy soil, you’re almost always going to have healthy plants. Healthy soil is a functional ecosystem that supports diverse life in the soil,” Theuri said. Early conventional wisdom was if a field had adequate nitrogen, phosphorous and potassium levels, plants were going to be A-OK. If levels weren’t where they needed to be, those fertilizers were added and production would be fine. “But our friends in USDA are starting to ask us to think differently now. Instead of thinking soil quality, think soil health and anything that’s alive has health. A living soil has organisms that are all in the food web,” Theuri said. “If you miss any one of those constituents of the soil ecosystem, you will be messing with soil health and you’ll be messing with the equilibrium that’s in the soil that enables plants to survive and thrive. In one teaspoon of healthy soil, there can be 100 million to one billion bacteria, six to nine feet of fungal strands if they were put end to end, several thousand flagellates and amoeba, one to several hundred ciliates, 10 to 20 bacterial feeders and a few hundred fungal feeders, up to 100 anthropoids, and five or more earthworms. 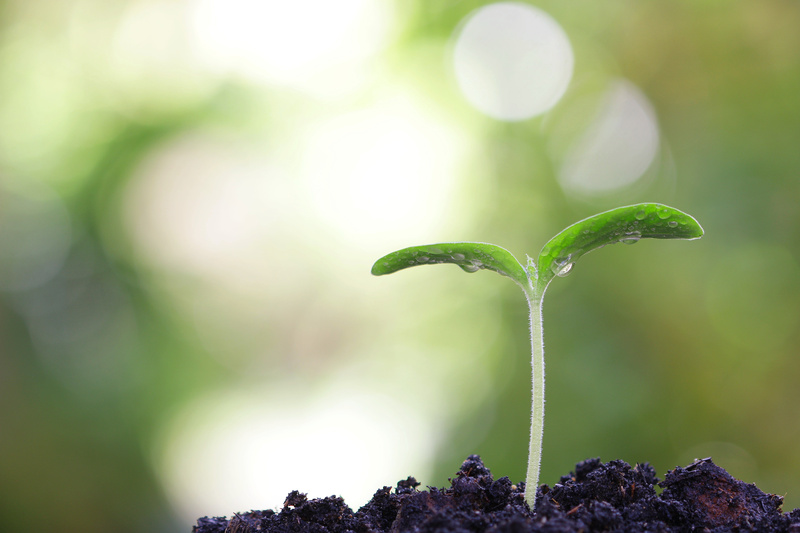 Healthy soils also include microorganisms such as bacteria, mycorrhizas, fungi and actinomycetes that benefit plants. Soils can be amended with compost to increase beneficial microbial activity that, in turn, suppresses pathogens or induces resistance. Use compost that is completely decomposed and cured over two to four months to stabilize it and allow it to be repopulated by beneficial microbial organisms. George said cover crops or “green manure” are beneficial in covering bare ground, weed suppression, erosion control, nutrient sequestration, keeping soil cool and providing root biomass for microbes and micronutrients. Cover crops also can be used for fruit rot control in pumpkins as it serves as a physical barrier. Hairy vetch or rye suppress fusarium fruit rot, gummy stem blight, microdochium blight and powdery mildew. As with conventional systems, crop rotation is an important disease management tool. “Some of the goals of crop rotation are to add nitrogen, control diseases, insects and weeds, conserve and build organic matter and reduce labor,” George said. Soil solarization also is a way to suppress diseases, as well as manage weeds and pests. The steps include cultivate and remove plant matter, level and smooth the soil, irrigate and install a clear tarp on the soil surface and keep it there for four to eight weeks, depending on the local conditions. The beneficial microbials will return. Biopesticides are available for disease control. They are derived from organic or natural materials. There are 299 registered biopesticides and are mostly used as preventative rather than curative. The classes of biopesticides are microbial, biochemical and semiochemical. Tom C. Doran can be reached at 815-780-7894 or tdoran@agrinews-pubs.com. Follow him on Twitter at: @AgNews_Doran.